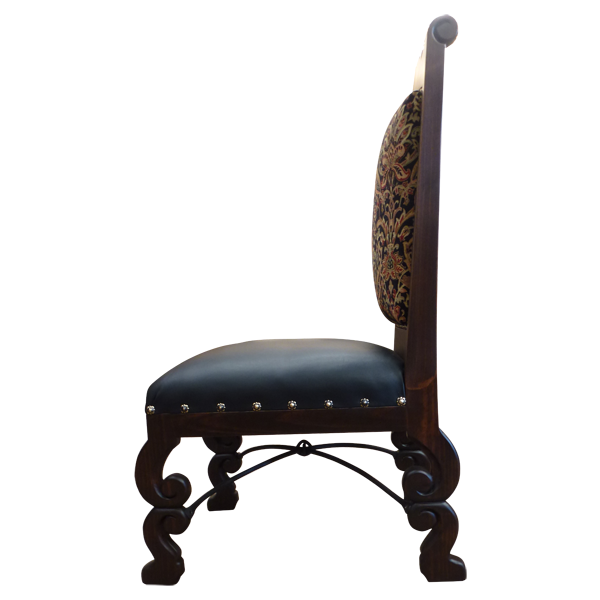 Whether as a dining room chair or as a side chair, this elegant, Spanish colonial style, handcrafted chair will complement your home décor. 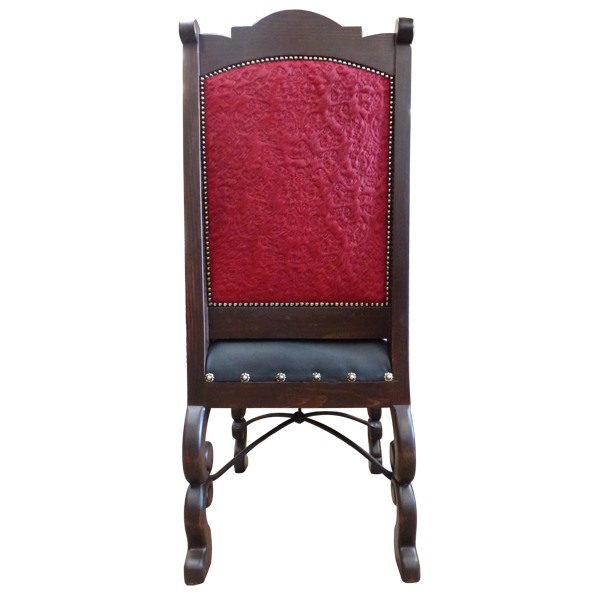 The finely padded seat is upholstered in black full grain leather, the inside seat back is upholstered in gold and black toned, embossed full grain leather, and the reverse seat back is upholstered in red embossed full grain leather. 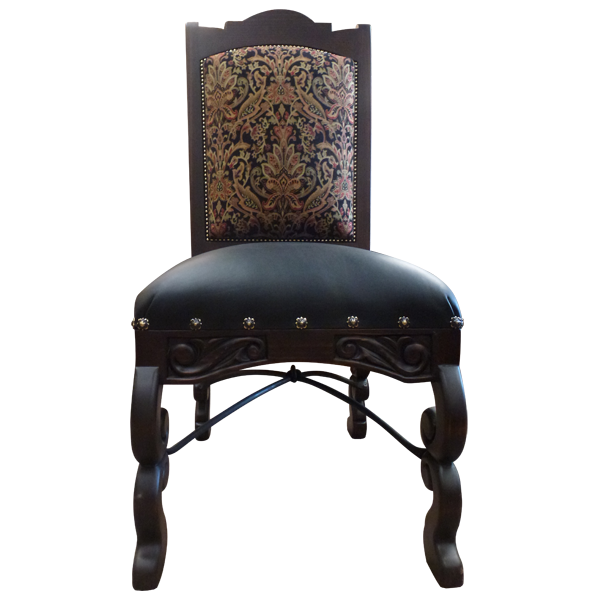 The sides of the base of the seat are decorated with large, decorative nails, and the seat back is adorned with small, decorative nails. 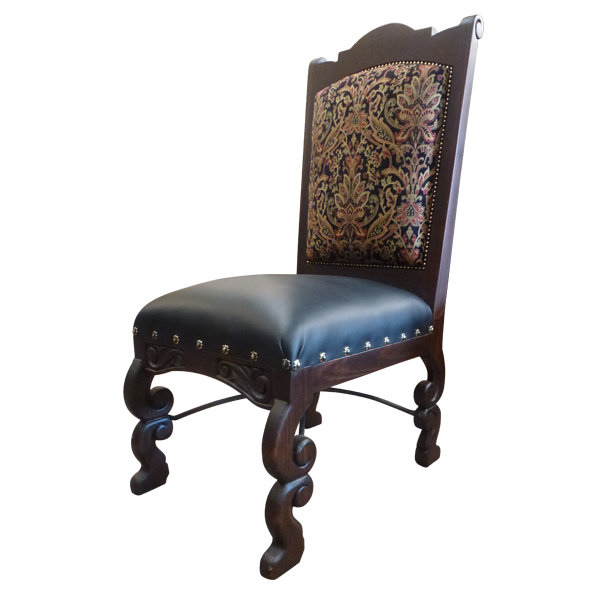 The curved legs are exquisitely hand carved with ornate, scroll designs, and are joined by a hand forged, iron stretcher. Both beautiful and durable, the chair is made with the best, sustainable, solid wood available. It is 100% customizable.